Winter is a rough time of year for lawns in most of the United States. As temperatures go consistently below 60 degrees F at night, the grass turns brown and goes dormant to await warmer temperatures. Lawn care does not end during the cold winter months. In fact, the grass cutting procedures used in preparing a yard for winter also aid in the prevention of pest and weed infestations, and lawn diseases. Grass grows faster in the spring when it is scalped for the winter. As fall commences, begin lowering the mower blade by 1/3 of the lawn's height. The goal is to cut the lawn back to 1/4 of an inch. 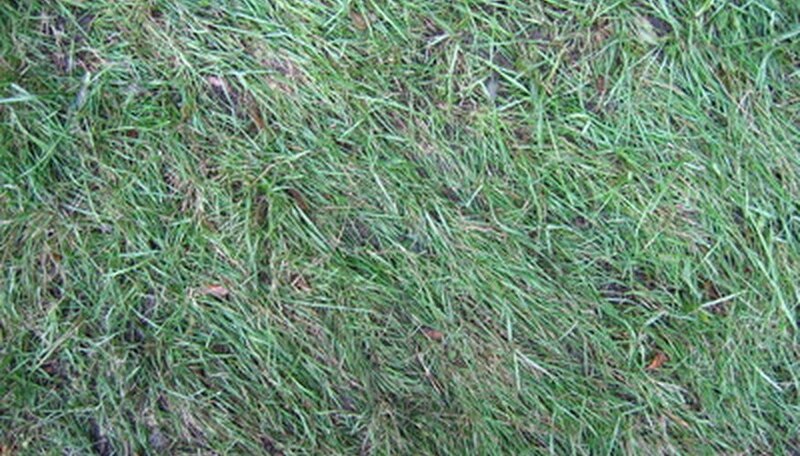 At this height the green portion of the blades is removed, ensuring the lawn will not have any tissue that could rot after frost bite. By the end of the process the lawn will look brown with some runners and dirt visible. Thatch is a buildup of plant tissues, including leaves, stems and roots, that are shed throughout the course of the summer. While thatch is very helpful during the summer months for holding in moisture and keeping the ground cooler, it can cause problems in the winter. Pests such as pearl scale make their homes in yard thatch in the fall and infest the yard in spring. Avoid creating a habitat for pests by removing the thatch layer. Dethatchers are available in manual and automatic forms. If you are tired of pulling up weeds and killing moss in the spring, overseeding a summer lawn may be right for you. Overseeding is the process of planting a cold-weather grass, typically perennial rye, in the lawn to keep it green through the winter. By keeping the yard lush, moss and weeds will be unable to populate the yard. Even better, the additional water provided to a winter lawn is absorbed and stored in the roots of the summer lawn, encouraging it to regrow faster.